Merkel’s “EuroLiberal” gamble in politicizing the migrant crisis as a tool of pressure against the “EuroRealist” Polish government has completely backfired as the “Frau” now struggles to remain in power amid the coalition-forming crisis, while one of her chief ideological adversaries, Jaroslaw Kaczynski, is still in control of his country. If someone would have even suggested two years ago that CNN would one day headline an article questioning “What next for Germany as Merkel myth implodes?”, they’d probably be dismissed as delusional, even though the writing was on the wall all throughout 2015 that the German public would resist Merkel’s “open door” policy advocating for the unrestricted migration of civilizationally dissimilar individuals, many of whom have no desire to assimilate and integrate into their host societies. 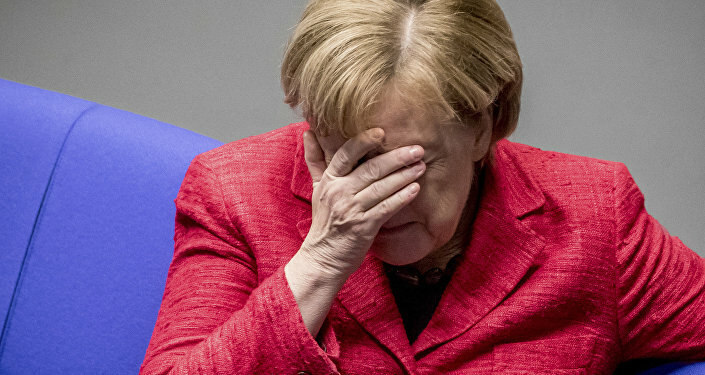 Unsurprisingly, a relatively significant chunk of the German electorate revolted against her and voted for the heavily conservative Alternative for Deutschland (AfD) party, thereby sending the country’s politics into a tailspin by compelling its previously unchallenged leader to enter into a three-sided “Jamaica Coalition” if she harbored any realistic hopes of ruling Germany for a fourth term. 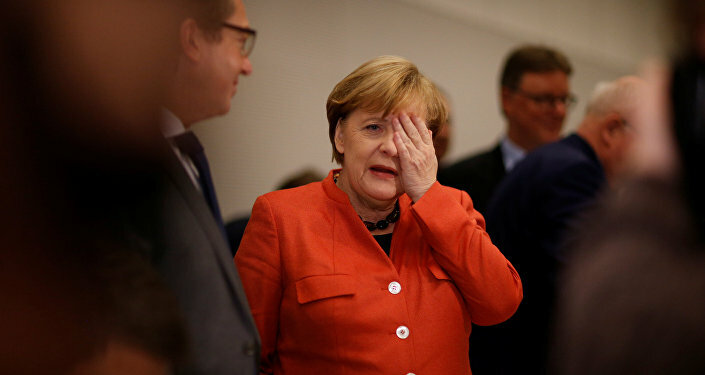 As could have been expected, the complicated horse-trading that presumably accompanies such a political arrangement was unsuccessful and has therefore thrown Merkel’s political future into doubt, with the very real possibility that new elections could be held which could see her party lose even more seats than before. In fact, almost half of Germans said that they’re in favor of another vote, and while this could in theory be to Merkel’s benefit if the easily fatigued German public reactively opts for “stability” by switching their “protest vote” to her, but that seems highly unlikely. It’s still too early to write Merkel’s political epitaph just yet, but whenever it’s inevitably set into stone, it’ll assuredly include some reference or another to how her radical handling of the migrant crisis was her ultimate undoing. This is ironic to a large degree because the Chancellor has actually worked hand in glove with her fellow “EuroLiberal” ally Donald Tusk, current President of the European Council and former Polish Prime Minister, to instrumentalize the migrant issue as a Hybrid War info-weapon against their shared “EuroRealist” ideological adversaries in neighboring Poland. The German Defense Minister is already on record admitting her country’s support for the “democratic resistance of the young generation” in Poland, offering the most convincing evidence yet that Berlin has been backing the Soros-linked Color Revolution unrest in Warsaw in order to destabilize its government and pressure it into German-dictated political concessions on certain key issues. As the most poignant example, much of the manufactured unrest has been buoyed by Brussels’ “dog whistle” that the ruling Law & Justice Party (popularly known by its Polish abbreviation PiS) is supposedly “violating European norms and human rights” for refusing to agree to the forcible relocation of even a single civilizationally dissimilar Muslim migrant to their country, hence why the EU has taken the erstwhile unheard of step of threatening to sanction Poland. The EU is terribly afraid that the Central European state’s geographic and demographic size enables it to function as a center of regional gravity in assembling a coalition of like-minded governments that could more effectively to oppose Brussels if they collectively pooled their resources together and operated as a “EuroRealist” bloc in opposition to the union’s “politically correct” “EuroLiberal” ideology. This is already happening through the “Three Seas Initiative”, which is the modern-day improvisation of Poland’s historic “Intermarium” vision, and that’s why Berlin sought to exploit Warsaw’s resistance to Brussels’ migrant plan in order to paint its target as “Islamophobic” so as to “justify” the country’s externally provoked instability. As with all of Merkel’s plans lately, however, this one also totally backfired after Polish President Duda hosted his Turkish counterpart last month and proudly declared that his government is fully in support of its Muslim partner’s membership in the EU, which must have triggered an unparalleled bout of cognitive dissonance among the “EuroLiberals” who were convinced that Poland would never say such a thing. Unlike what some of the brainwashed foreign masses might have expected, this didn’t dent PiS’ domestic popularity even in spite of the population’s rising nationalism that sometimes scarily borders on fascism (and in one case, was infamously misportrayed as such by Western fake news). The leadership contrast between Germany’s “EuroLiberal” Merkel and Poland’s “EuroRealist” “gray cardinal” Kaczynski couldn’t be more pronounced, with the former battling for her political life and legacy while the latter is comfortably in control of his country and carefully planning out its future. Their polar opposite handling of the migrant crisis is chiefly responsible for their different fates, and it’s clear to see that Merkel’s migrant regime change ploy against Kaczynski has completely backfired by inadvertently putting her own government on the ropes instead of his. There’s no telling whether the “Frau” will survive her worst-ever political crisis or not, but what’s evident is that Kaczynski stands to benefit from her apparent weakness by seizing the pivotal window of strategic opportunity to strengthen the “Three Seas Initiative” and bolster his country’s “EuroRealist” bloc against its “EuroLiberal” adversaries in Berlin and Brussels.